The guide will meet you at the hotel, from where, depending on your choice, you will go by public transport or by car to Yaroslavl. You will learn the extraordinary story about the life of Yaroslav the Wise and his contribution to the history of Russia. You will walk along the antique streets and make amazing photos of architectural monuments of the 16th-17th centuries. Then you will visit the main temples of the city. The historic part of Yaroslavl, a World Heritage Site, is located at the confluence of the Volga and the Kotorosl Rivers. It is one of the Golden Ring cities, a group of historic cities northeast of Moscow that have played an important role in Russian history. 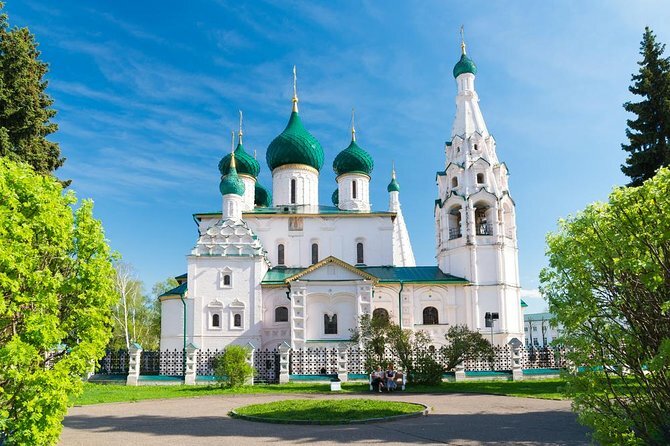 Yaroslavl is the pearl of the Golden Ring of Russia, a beautiful ancient city with the status of a UNESCO World Heritage Site. After the end of the excursion in Yaroslavl, you will go to Moscow. Your guide will accompany you to the hotel.